Packing for your first sports tournament can be a hassle because you want to make sure you don’t forget anything! The most important things to remember are your uniform, shoes, and a water bottle. You’ll also want to bring clothes to practice in, as well as comfortable outfits for when you have downtime in the Smoky Mountains. Other things to consider bringing are a rain jacket, a first-aid kit, headphones, and an umbrella. Click here for a complete list of what you should bring for your sports tournament. It’s completely normal to be nervous before your first sports tournament! The most important thing is not to let your nerves get the best of you. Try calming yourself down with deep breathing, or listening to music to help get you focused. It also helps if you have a plan for game day, like eating a healthy breakfast and arriving early to the game to warm up. If you still feel a little nervous, use those pre-game jitters to your advantage! Being nervous just means you care about doing your best, so channel that energy into your performance. Our sports complex is close to plenty of lodging options in the Smoky Mountains. Whether you want to stay in a cabin or a hotel, you’ll have your choice of comfortable place to stay. 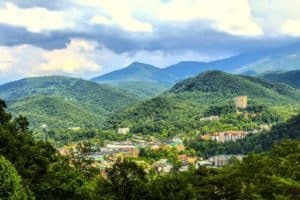 If you want to be within walking distance of all the popular Gatlinburg attractions, a hotel or condo would be the best option. If you want a more peaceful mountain getaway, a cabin is perfect! If you’re staying with your teammates, there are large group cabins available that are great for team-building and have enough space for everyone. If you visit during rafting season, you have to try white water rafting with your group! At Outdoor Adventures, you can navigate your way through Class III and IV rapids on the Pigeon River. Whether you’re an experienced rafter or have never been before, the professional guides ensure you have a great time. Rafting season begins in the spring. Of course your visit to the Smoky Mountain area wouldn’t be complete without exploring the Great Smoky Mountains National Park. 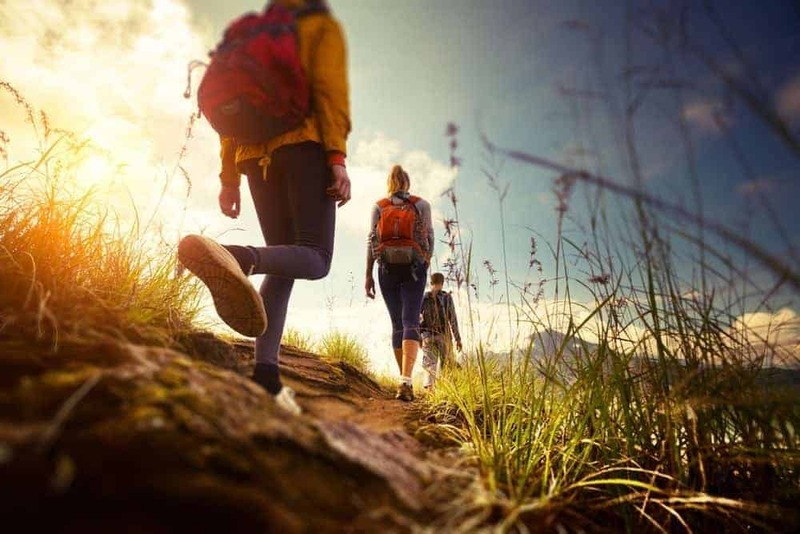 Your team can go for a hike and might even have the chance to spot some wildlife! Some popular trails for your team to try are Laurel Falls, the Gatlinburg Trail, and Trillium Gap Trail. For a delicious breakfast before your game, visit Bennett’s Pit Bar-B-Que. They have a semi-private dining area to accommodate your team, and offer a delicious breakfast buffet. Get the energy you need for your tournament from eggs, sausage, bacon, fruit, waffles, and more! Big Daddy’s Pizzeria is perfect for your team dinner! Everyone loves pizza, and Big Daddy’s takes their pizza to the next level with handcrafted, homemade dough. It’s topped with homemade sauces and fresh ingredients. You can choose from a variety of delicious options, like Meatball Mania and Porky Pie. Rocky Top Sports World is one of the nation’s best tournament destinations. We have seven fields, six basketball courts, 12 volleyball courts, team rooms, and an onsite grill. We host a number of tournaments throughout the year. Learn more about our facilities and get ready for a fun first tournament in the Smoky Mountains! This entry was posted in Our Gatlinburg Sports Complex on January 17, 2019 by Contributor.